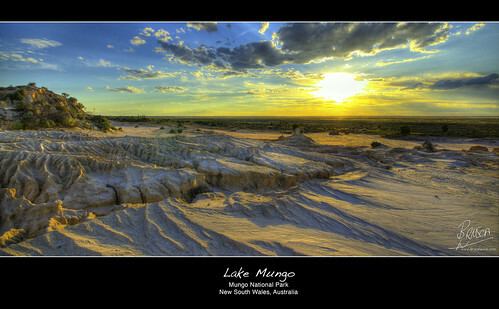 Lake Mungo has been on my list of places to photograph for some time. It’s been high on my priority list during this trek through OZ. I can’t believe I have finally reached Lake Mungo and experienced first hand what a magical place it is, and even the spiritual feeling that one feels when visiting the likes of the Walls of China. I spent one entire (very hot) day at the Walls of China and watched the sun eventually set and it rivals the likes of the Twelve Apostles as spectacular and must see sunset experiences. 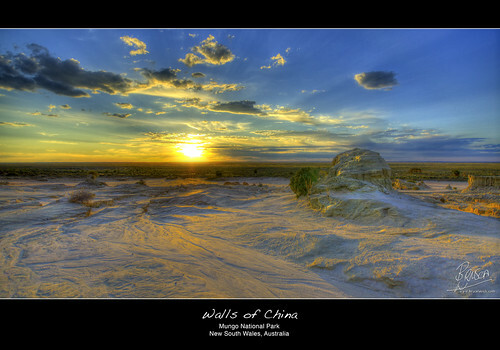 The photographs you see of Lake Mungo rank for me personally as some of my best photos. Not just for the image themselves but also in part for the long journey and challenge getting here to take these photos. Prints available soon from my SmugMug account. Reaching Lake Mungo has so far been the biggest challenge of my journey. There are over 100km of dirt roads to navigate to reach Mungo National Park and I have done it with as much care as possible with little ‘Forrest’ as he is not made for the rough stuff. None the less as the trooper he is, he has met the challenge and we keep on trooping. Next major stop is Broken Hill.